Sharing children's poems with your child can be a wonderful experience. In the few moments it takes you to read a poem you can be hurtling down a hill on a bicycle, conversing with an insect, laughing with a giant or feeling snow on your face. For you, it can be a nice change from reading stories aloud. For your child, it is a compelling example of how words can be used to create strong mental images in their mind. 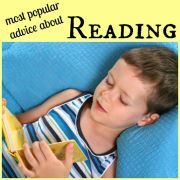 More than that, however, listening to poetry can also help your young child develop the skills necessary for reading. 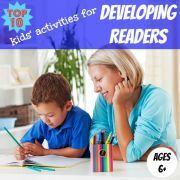 Older children benefit from improved reading comprehension as their visualisation skills are enhanced. Memorizing poetry can also be fun and can improve vocabulary and phraseology. Keep reading to find out more about the benefits of reading children's poems, activities to increase your child's exposure to poems and suggestions for inspiring poetry books you don't want to miss. Nursery rhymes are probably the first poetry that your child will be exposed to. Passed down from generation to generation, nursery rhymes are a mainstay of children’s literature. Although some of the concepts may seem a little dated, many nursery rhymes conjure up strange and fanciful images which your child will love. Nursery rhymes also offer great opportunities for your child to develop his rhyming ability. As well as getting real enjoyment out of the predictability of rhymes, listening to, and learning, nursery rhymes and rhyming poems helps your child to develop the foundation skills needed for reading. By listening to rhymes your child starts to develop an ear for sounds and for the manipulation of sounds in words. This listening skill is known as phonological awareness and it enables your child to distinguish rhymes, syllables in words and individual sounds in syllables. 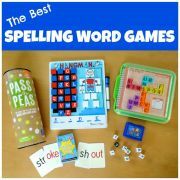 Being able to recognise and generate rhyming words will help your child when they start to learn to read. Research shows that young children who struggle with finding words that rhyme, and have little phonological awareness in general, can encounter difficulties later with reading. Hear The Soundtrack Children enjoy listening to poems that rhyme. When you read a story to your child, they focus on the words within the story. If, however, you read a poem to your child they will hear not only the words, but also the 'music' which those words make. The rhythms and rhymes of the poem, together with the qualities of the sounds heard, such as pitch, tone and volume, form a sort of soundtrack which support the words of the poem. Young children can appreciate this soundtrack even before they can understand the words of the poem. This may be why children are so attracted to poetry. They enjoy listening to the ‘music’ created by the physical qualities of words and appreciate how it complements the words of the poem. For older children, the soundtrack can add to the poem's effect, building on the imagery suggested by the words of the poem. Create Mental Images In addition to the 'soundtrack' produced by the rhythms and rhymes of the poem, poems often also use figurative language, such as similes, metaphors, alliteration and onomatopoeia, to create strong mental images in surprising ways. Children's poems are therefore ideal for introducing your child to mental imaging. When listening to a poem, encourage your child to create a mental picture in their mind full of colours, smells and sounds based on what their senses can imagine. Mental imaging is a useful comprehension strategy for your child to use when reading any text since it helps them to engage more deeply with what they are reading, therefore enabling them to better interpret and draw conclusions from the text. 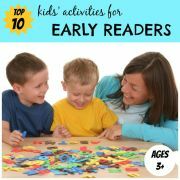 Visualizing can also help your child remember and retain more of what they are reading. Use Imagination Rather than explaining everything explicitly, poems are often more suggestive, leaving gaps for your child to fill in and enabling them to make their own interpretation of the poem. This makes children's poems ideal to use as framework for stimulating your child's imagination. They allow your child to stop and think about the poem and speculate as to its meaning. You can encourage your child by assuring them that there is no right or wrong way of understanding the poem. Reading and enjoying poetry is one thing, but what about memorizing it? Is there really any point? In some countries, such as France, memorization of poetry is very much a part of ordinary school life for children. In other countries, such as the US and England, it is no longer considered a necessary part of the school curriculum. I must admit that when my son came home from school with a poem to memorize I was sceptical. I assumed he would find it tedious and difficult. I couldn't have been more wrong. He loved it and he found it pretty easy. We took it verse by verse and he repeated a verse until he got it right. I was careful not to push him too hard so when he had had enough we stopped and picked it up again later that day or the next day. Once he had learnt the complete poem he was very proud of himself, and keen for me to video him and send it to his grandparents. I heard him repeating the poem to himself voluntarily every now and then. As well as the enjoyment children get from memorizing poetry, there are also many benefits. Just as physical exercise strengthens the body, memorization can be thought of as a kind of exercise which strengthens the mind. Once used to memorizing children's poems, your child is likely to find it easier to memorize for tests and quizzes. If your child encounters an unfamiliar word in a poem they are memorizing, they are more likely to extend their vocabulary by committing the word to memory in its proper context, therefore being able to use it correctly later in their own writing and speaking. Similarly, they are more likely to internalise and later use the rhythmic language patterns and more complex constructions of phrases which they come across in poems. If your child recites a poem aloud following memorization, they will learn to speak more clearly and enunciate properly and their reading will become more expressive. Here are some quick and easy activities to try which will help to bring more poetry into your child's life. Read a poem to your child and encourage them to make up actions to the words of the poem. In order to think of actions to perform, they will have to start developing mental pictures in their mind to accompany the words of the poem, thus starting the visualisation process. Try also using props when acting out your poems, like in this autumn poem activity which I did with my children, where we created an autumn play scene to bring our mental pictures to life. Encourage your child to write children's poems. Writing poems provides a means for them to learn to express themselves more eloquently and helps to improve their use of vocabulary. Rather than presenting your child with a blank piece of paper help them to get started by providing them with a defined structure to follow or by giving them tools to help generate words and phrases to include in their poem. Print out a poem in large type, read it aloud a few times and then cut it up into individual words and mix the words up. Ask your child to rearrange the words again into the lines of the poem and stick them on a piece of card. This is what we did to create these Valentine's cards. My children practiced reading the words of a poem while having fun with a glue stick. Encourage your child to create their own anthology of poems. Photocopy or transcribe favourite children's poems and either keep them in a box or stick them in a blank book or folder. If your child is keen, they can choose to illustrate the poems and categorise them in an appropriate way. Keep poetry books handy about the house and have regular poetry breaks when you dive into the book and read a poem or two. The beauty with poems is that they are short enough to do this without disrupting your busy schedule. Hopefully you are now convinced about the benefits of reading poetry to your child. 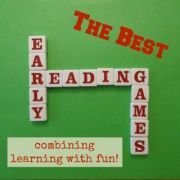 But where can you find some fun and engaging children's poems to read to them? 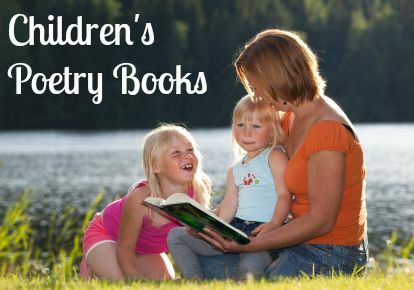 The easiest way to expose your child to a variety of poets and styles is to buy a collection of children's poems written by a variety of poets. Fortunately there are many excellent poetry anthologies available. Keep reading to find out about my favourites. The Puffin Book of Fantastic First Poems is a great first poetry book, acting as the perfect stepping stone from nursery rhymes to poetry. The collection, edited by June Crebbin, includes a mix of over 130 funny and unusual poems from more than 60 poets. The bold, colourful illustrations complement the words perfectly. The collection is divided into seven sections such as animals, food and outings. My only regret is that there is no index by subject - my children pick a picture on the cover and want a poem about that, which leads to much time spent flicking through the pages trying to find it! The Random House Book of Poetry for Children is a fantastic collection of over 500 poems, compiled by the poet Jack Prelutsky and first published in 1983. It covers some of the best traditional and contemporary poetry written for children. From classics by Emily Dickinson, Robert Louis Stevenson and Robert Frost to silly verse by Edward Lear and Shel Silverstein, and from playground chants to scary poems, there is something for everyone. The poems are grouped into broad subject areas such as food, goblins, seasons, animals, children and home and there is also a very useful index by subject as well as the usual indexes by title, first line and author. The traditional monochrome illustrations, by Caldecott medal winner Arnold Lobel, complement the poems while not detracting from them. 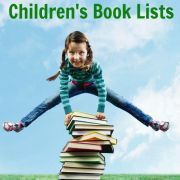 The 20th Century Children's Poetry Treasury is another anthology of children's poems compiled by Jack Prelutsky. It includes over 200 classic and modern poems by more than 130 poets, representing a broad range of poetry styles. Not all the poems included are strictly children's poems but they are still child-friendly. There is no formal groupings of the poems, and no index by subject, but they are organized loosely by theme on the pages. Meilo So provides spectacular, watercolor-splashed illustrations on every page which visually tie the accompanying poems together. Poetry Speaks to Children is an anthology of nearly 100 children's poems, edited by Elise Paschen. A huge bonus is that around half of the poems are read or performed on the accompanying CD, in many cases by the poets themselves. Your child can listen to Robert Frost, Roald Dahl and J.R.R. Tolkien recite their own poems. The collection contains both classic and contemporary poetry, some of which were not originally written for children. The illustrations are big and colourful giving the book a picture-book quality. There is no clear grouping of poems into topics, although similarly themed selections sometimes appear together. A Child's Book of Poems is a timeless collection of 200 poems including classics by William Blake, Christina Rossetti and Robert Louis Stevenson as well as proverbs, limericks, nursery rhymes and folk songs. It was first published in 1969 and is illustrated beautifully by Gyo Fujikawa in colour and black and white.